On 25 May, 2013, OPEN STREETS CAPE TOWN will launch its programme for an Open Streets network in Cape Town, to encourage people to use sustainable modes of transport, support local businesses, and find creative ways to use street space. Inspired in Bogota’s Ciclovia and projects in other cities like San Francisco and Jakarta, the aim of Open Streets is to enable all citizens to move and use streets freely and safely. The concept has been implemented in approximately one hundred cities around the world and it entails the creation of a temporary network of car-free areas and routes. 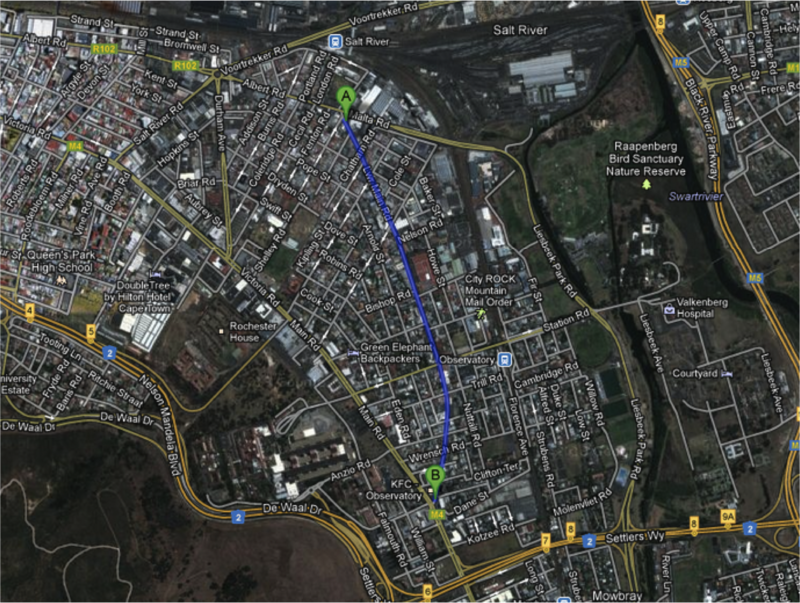 Lower Main Road – between Main Road and Albert Road- is the first leg of an envisaged network throughout Cape Town. The event is free and activities planned for the day include a skateboarding park, bicycle activation points, Zumba and yoga lessons, theatre, music busking and arts installations. Moreover, residents have organised a family ‘corner’ with braai and games for kids; street football, giant chess, puppets, folk circle dancing, chalk-drawing and more. Open Streets is linking to other activities taking place on May 25; namely Africa Day, the Moonlight Mass monthly bicycle ride and “100 in 1 day”, which is a global movement to encourage people to use public space in creative ways. The City of Cape Town supports the roll out of this programme as part of its policy for alternative transport as well as the agenda for the World Design Capital in 2014. For more details visit our website www.openstreets.co.za our Facebook page or follow us on twitter @openstreetsCT.